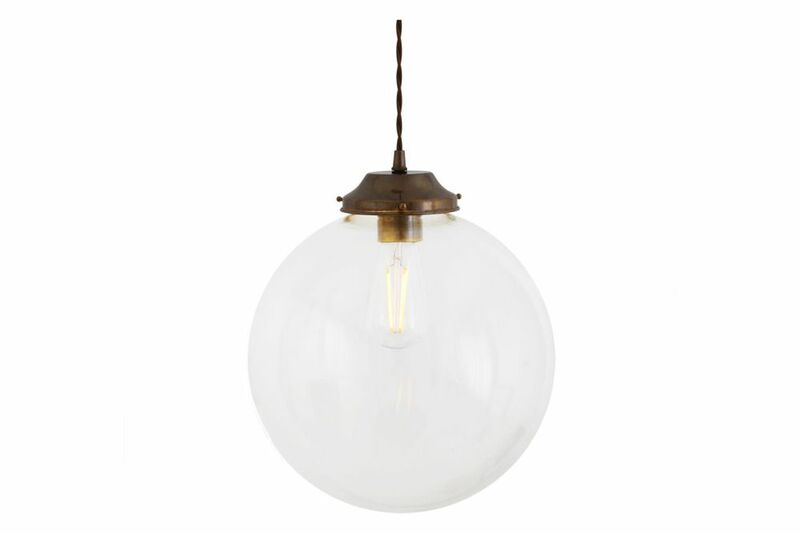 The 20cm Virginia clear globe pendant light is a clean and stylish industrial-inspired pendant. It is the smallest globe pendant in the Virginia family of lights with 25cm and 30cm options. This glass pendant features a clear globe shade that is aesthetically beautiful and will add an elegant, timeless charm to any space. Suspended from its supplied ceiling rose, this contemporary pendant light can be installed individually or together in groups of three or five.